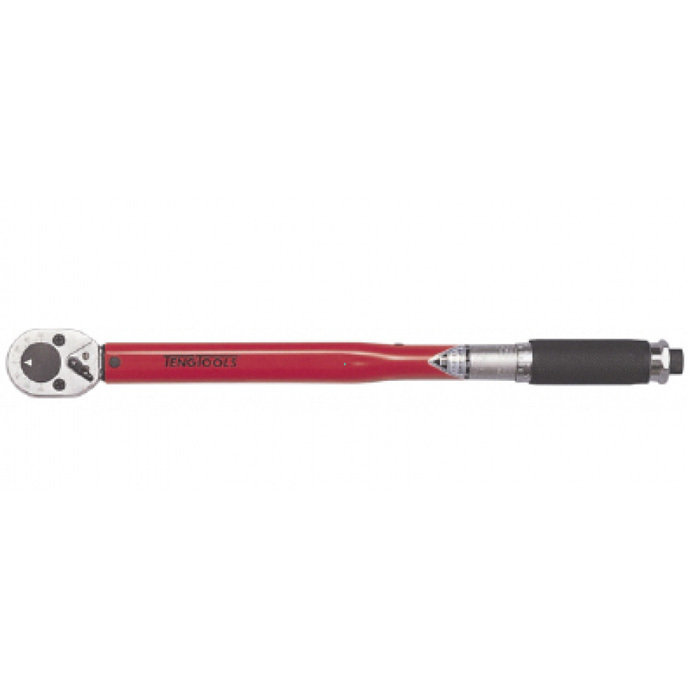 TORQUE WRENCH 1292AG-E4R Teng Tools With ratchet allowing the torque wrench to be used for both full tightening and final checking of the tightening torque. The compact design and socket grip of the Plus series torque wrenches offer an alternative for applications in the vehicle and light industry. Ratchet mechanism with 72 teeth provides good access in tight spaces. Ergonomic handle and comfortable two-component grip. Easy-to-read scale in Nm. Conforms to or exceeds the current ISO 6789 standard requirements. Accuracy ±4%. The torque wrench is supplied in a plastic case for protection, storage and with an individual calibration certificate.